With influx of Chinese overseas returnees and increasing maturity of business start-up environment, start-up roadshow and contest is grabbing great enthusiasm of start-ups from diversified industries, as well as active engagement of venture capitalists and government. Positioning own company in the industry spotlight to attract investment and increase awareness and reputation are main triggers for popularity of start-up contests across the country. On the other hand, competition for high-quality projects among venture capitalists are getting more intense, start-ups have much more bargaining power and usually chased by several VC now. Governments in different cities or even regions are motivated to provide generous fund to support start-ups because the number and quality of companies newly recruited are important performance index on local government science& technology achievement. Now the Dark Horse Series and Demo China are two leading business contests in china and organize tour match across China. China medical device industry is growing at a fast speed with 21.3% CAGR in past ten years, stakeholders in the value chain are quite active and bring about significant changes. More advanced technologies for premier market or technology that can be localized for mass market are sought by leading domestic medical device companies in China, distributors are facing fierce reshuffle and consolidations. 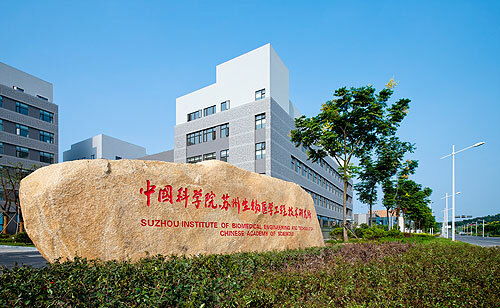 Government-backed science parks are also active in this field, Suzhou Science & Technology Town is an emerging player dedicated to develop medical device and diagnostics industry locally, currently a group of SME have been present there, along with Suzhou Institute of Biomedical Engineering and Technology Chinese Academy of Sciences and Center for Medical Device Evaluation. More importantly, Jiangsu province where Suzhou city is situated is taking the lead in Chinese medical device industry, followed by Guang Dong and Shan Dong Province in terms of industry sales revenue. Local government SSTT is keen to attract international medtech companies to have R&D and manufacture bases there. It aims to become a hotbed for medtech in china.